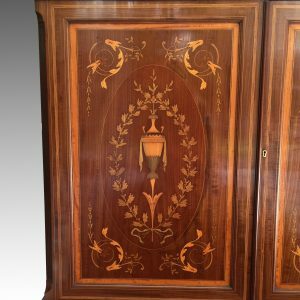 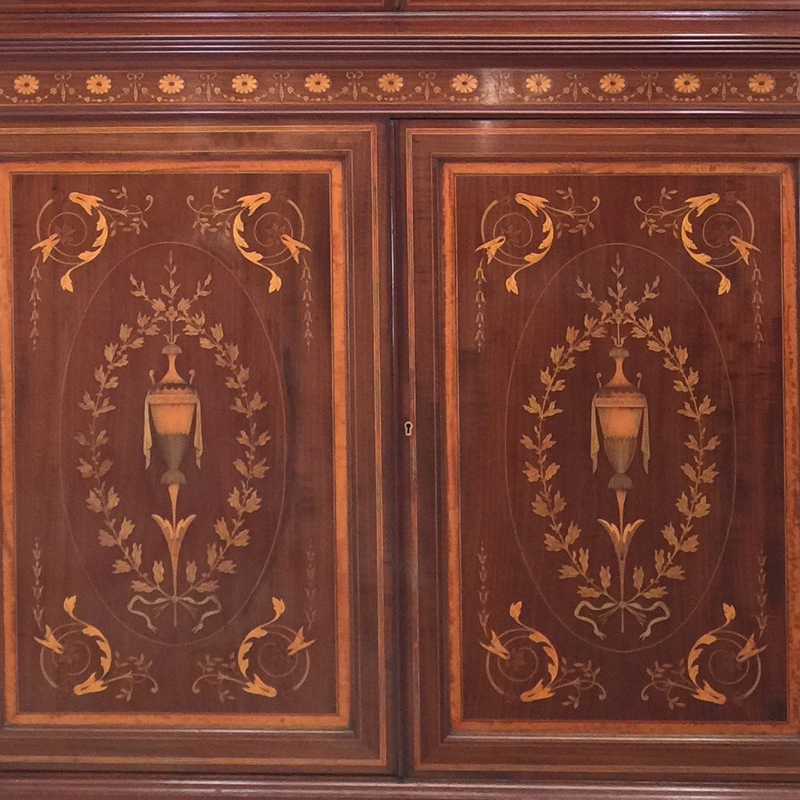 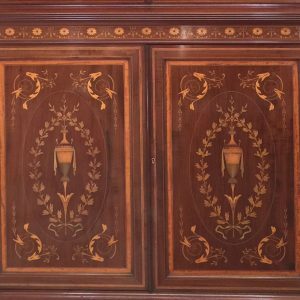 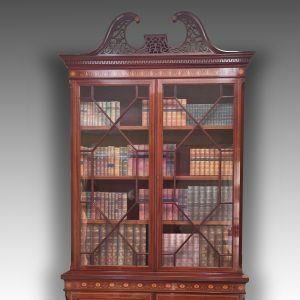 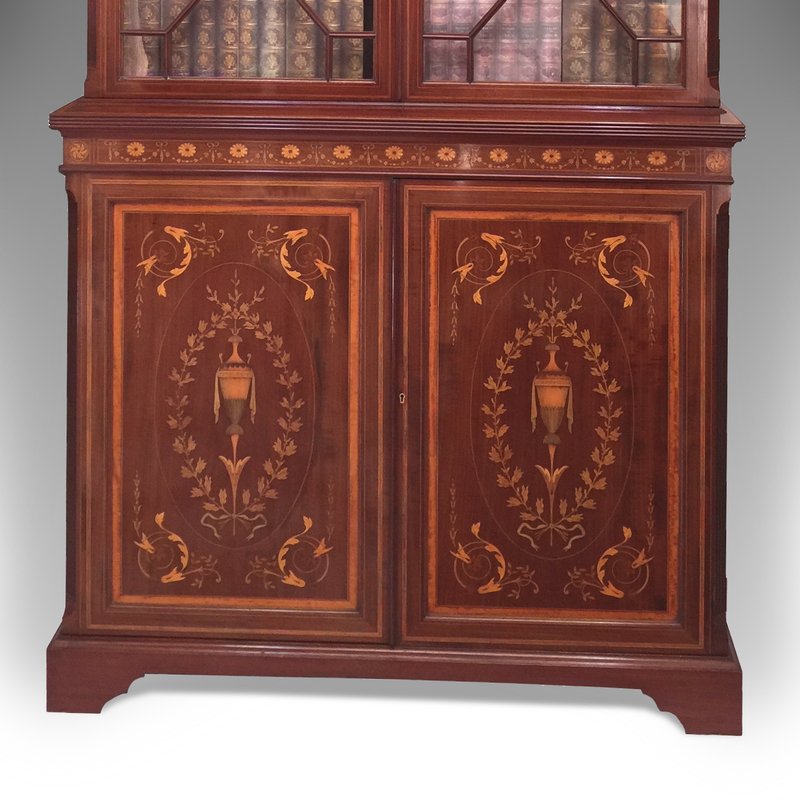 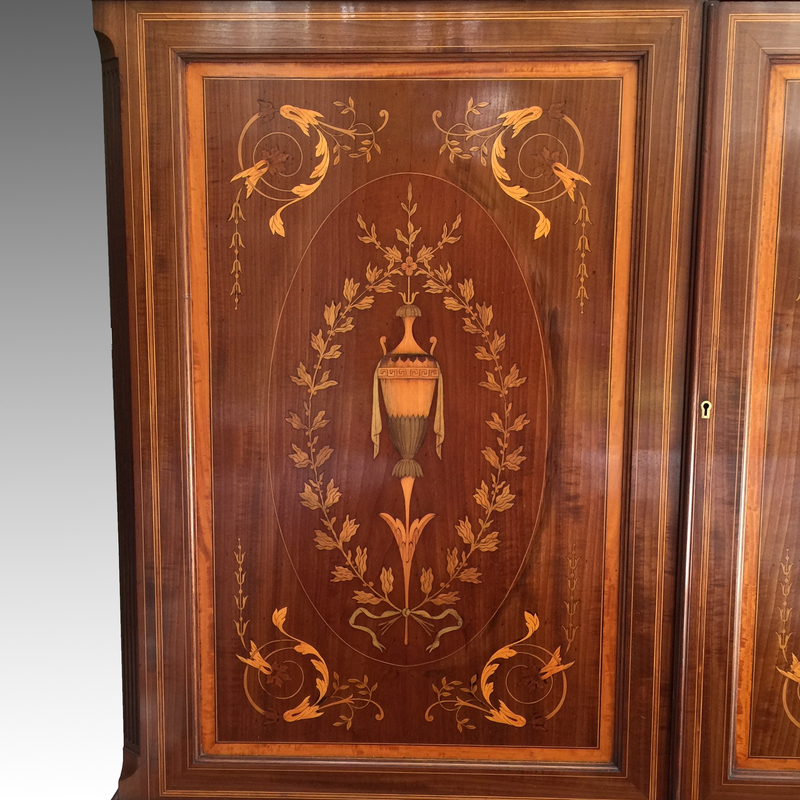 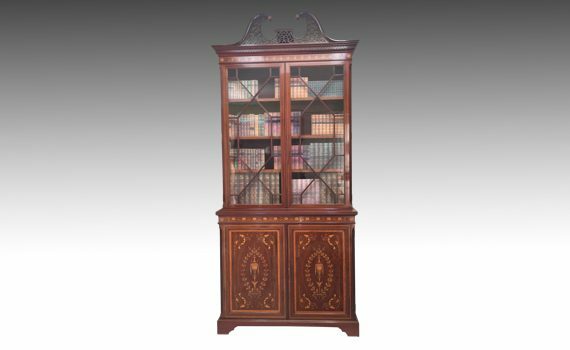 A late 19th century mahogany and marquetry inlaid bookcase cabinet. 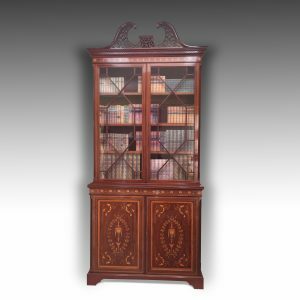 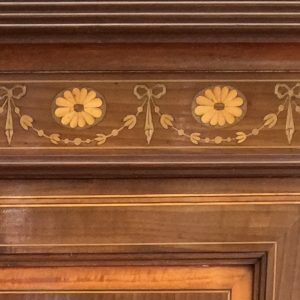 The pierced swan neck pediment above a moulded cornice with Greek key frieze inlaid with anthemions, a pair of astragal glazed doors below enclosing adjustable shelves, flanked by fluted canted corners. The base with a pair of urn inlaid doors enclosing a single adjustable shelf, again with fluted canted corners, standing on shaped plinth base with bracket feet. 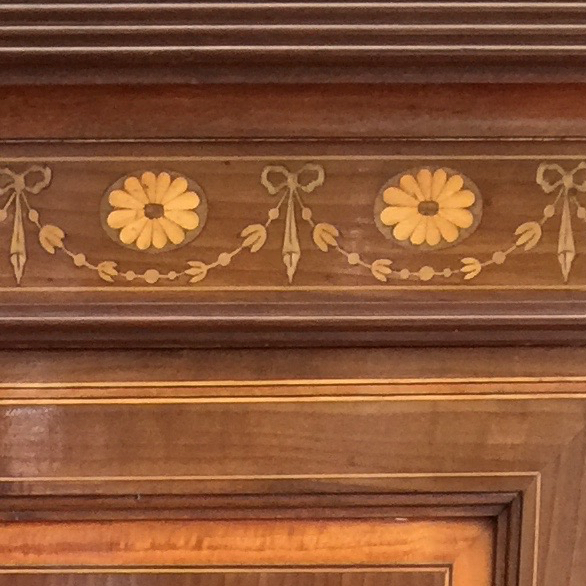 The door with enamel plaque ‘From Maples & Co London’.